Made as a special surprise birthday gift for a customer's mother, this Signature "With Love" Boudoir Bench is constructed of solid walnut harvested from local trees. 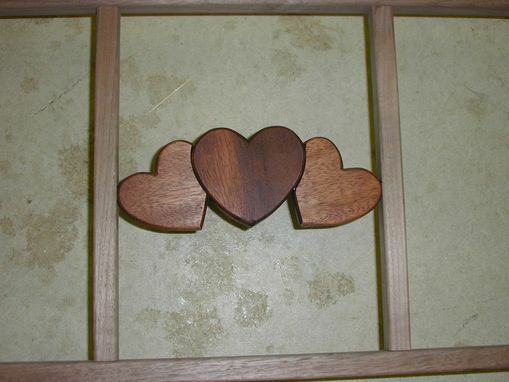 The "With Love" Series from The Plane Edge includes bloodwood hearts representing loved ones: in this example, a mother and her two daughters. 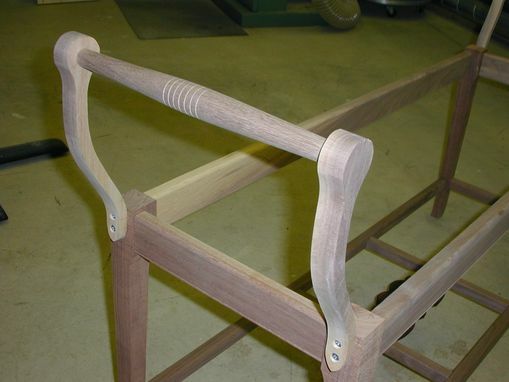 The handles were turned on the lathe and fitted into curved handle supports. 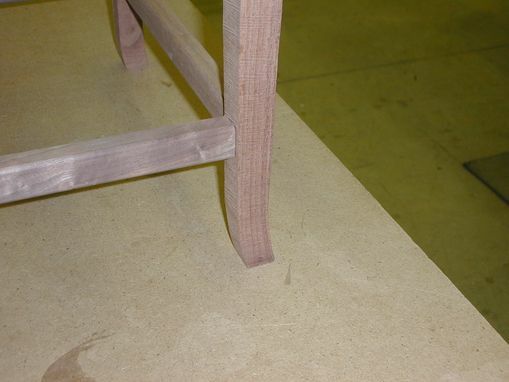 The base of the bench is constructed by using mortise and tenon joints, as well as all stretchers that are connected to the legs. 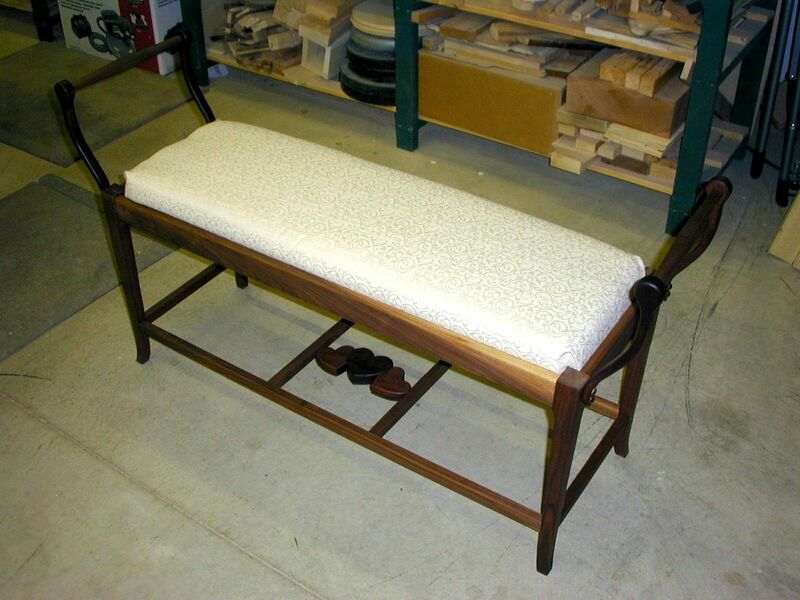 The legs were gently curved towards the feet to lend an aire of feminity to the bench. The inside corners of the bench are further strengthened by the use of corner blocks. 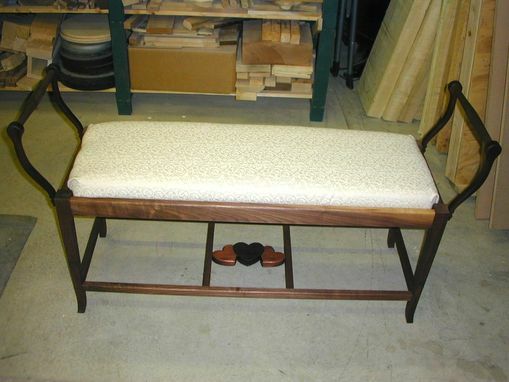 Several coats of a 50/50 mix of Danish wood oil and satin finish polyurethane were hand rubbed into the bench, and when dry, hand rubbed with liquid wax. To add contrast, the padded bench is covered with a patterned cream colored material. Dimensions: Approximately 18" deep x 24" tall (to the top of handles) x 40" long.